Here's a guide on how to build teams in the RPG Android and iOS game Girls X Battle. By understanding the roles of each Battle Girls, and by following the recommended team compositions below, you should now be able to create a team according to your style or preference. - Their main objective is to take damages and stay alive for as long as possible. - They don't make huge damages, but excellent tanks can hold the front line with control abilities like stun, and/or can also support the team with passive abilities. - Note: Front liners and Tanks are totally different, so that means, not all front liners are considered tanks. - HP, Physical Defense, Spell Resistance, HP Regeneration and Life Steal. Offensive stats are optional. - Your damage dealers, glass cannons or nukers. Best if they can also support the team with control, debuffs, or buff skills. - Physical Attack and Physical Crit, or Spell Power and Spell Crit. Survivability stats are optional but increase MP Regeneration. 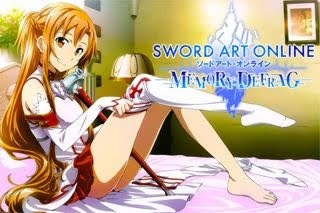 - Debuff specialists, Battle Girls that can immobilize enemies and render them useless. - Battle Girls with Stun, Silence, Petrify, Sleep, Freeze, Hex, Exile or other similar skills. Most preferred are those that can do AoE (Area of Effect) attacks to control all enemies. - For better timing, it's best that you find one that can control enemies using her Ultimate Skill. - Note: All control battle girls are also considered as DPS but their main purpose on your team is to CC. - Same with Tank section above for front liners. - Same with DPS section above for mid or rear Battle Girls. - Mainly Healers with some control and/or support abilities. - Battle Girls that can actively or passively buff your team's stats, and/or reduce ("debuff") enemies' stats. - Same with DPS section above. - Here's the most commonly used team composition. You can do your own too, just follow the general format above. - Now, here you'll see that I used 2 front liners, but it's ok because 1 of them is a DPS type. - If you want to use 3 DPS, it's ok as long that you have 1 Control to cover your team. - Also known as glass cannon build, yeah they can do lots of damage, but the problem is, if your opponent has a nice Control, you're team's dead. Chances are, you won't even be able to cast most of your Ultimate Skills. - The problem here is, your Team's DPS output will weaken, and most of the time you'll even lose your 1st or 2 tanks fast, before you can take down your enemy's tank. How? One reason is because AOE attacks are area based, and melee attacks have splash damages, so those 2 tanks will always take damage at the same time. - There are some exceptions here though, but I only suggest this for experienced players. - Same as above, do not stack 3 or more front liners because they will suffer from AOE attacks and DPS' melee splash attacks. - Mid position is a little risky but still doable with 3. Rear area should be ok to have 3 but not 4. Is It OK to Use 2 Control or 2 Support? - Yes, as long that your team has a good synergy, and make sure that their control abilities will not overlap, which will make the other one useless. 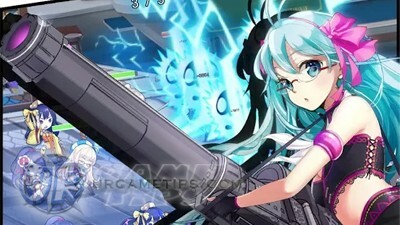 - Once your Battle Girls are around Lvl 85+, tanks will become harder to beat, thus making battles much longer than usual. They actually call the 2nd tank as "Off-Tank", but still requires a nice team synergy though. - Other players also consider using Dual Tanks only if they don't have a Control Battle Girl present for their team, especially for PVP Arena. - Possible but only at higher levels (around Lvl 85+), and are used for Arena defense only. Their main goal is to win by slowly defeating the attacking team, or via time limits. - Potential: Purple until around Lvl 70. Replace Gambler above Lvl 73 with better DPS. - Elvis and Angel can be replaced with other Support BGs you might like to try. - Potential: From early game to end game.